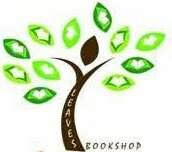 LEAVES, Juba’s first bookshop, is an instrumental fundraiser for the annual Juba Orphanage Sponsor a Student project. LEAVES is an independent bookshop catering to all audiences in the Republic of South Sudan. There are several hundred titles of new and used books available for adults and children including history, politics, science, economics, fiction, biographies and much more! Leaves also has a great selection of used magazines, journals and periodicals covering fashion, news, health and more. The emphasis of the initiative is twofold: *accessibility and affordability for the average employed South Sudanese citizen, *the widest and most interesting range of book titles in South Sudan for all of Leaves’ customers.